HELENA, Mont.,– Spring is approaching, but that doesn’t mean you’ve missed your chance for an affordable winter ski trip with tons of snow! In Montana, ski and snowboard season is still going strong! Enjoy the excitement at areas like Discovery, Blacktail Mountain or Montana Snowbowl, then hit the locals’ favorite places to eat, have a locally crafted beverage and soak in outstanding hot springs. Plan to visit one of Montana’s many outstanding craft breweries or distilleries for a cozy warm-up, then soak in the relaxing waters of a natural hot spring and unwind from a day of winter recreation. Direct flights to Montana are available from many of the country’s major airports, making the perfect snow experience just a few travel hours away. Fly directly to winter recreation hubs like Whitefish or Bozeman from Los Angeles, San Francisco, Chicago, Seattle, Portland, Salt Lake City, Denver, Minneapolis, or Las Vegas and enjoy easy access to top ski resorts like Whitefish Mountainor Big Sky. 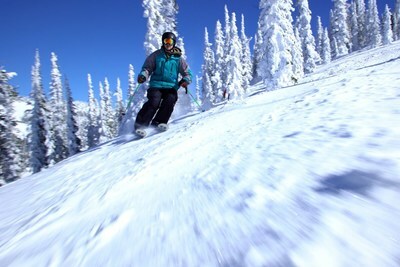 For more information about Montana ski towns, what to do and where to stay, go to VISITMT.COM. Use Montana’s Travel Resources to plan a trip that gets you to Montana by dinner.